Look like Homer Simpson when you cook! 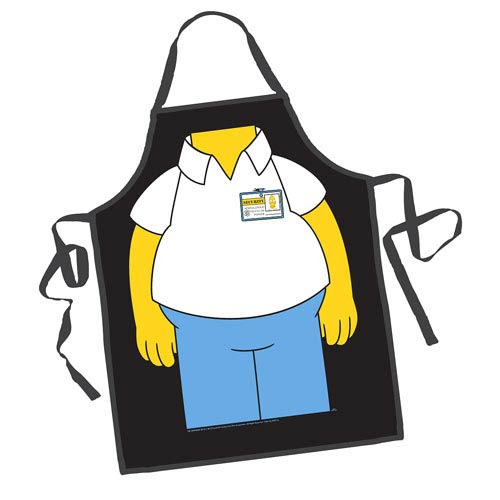 The Simpsons Homer Be the Character Apron will make you look like you're wearing Homer's classic work uniform - blue jeans, white collar shirt, and security badge all. Homer rarely steps into the kitchen for anything but beer, but now you can make him be in the kitchen for cooking food too! Measures about 31-inches long x 27-inches wide, with a 24-inch neck loop and 33-inch waist tie.